Mormaii is a company that has been producing clothes, accessories and equipment for the sports segment since 1978. 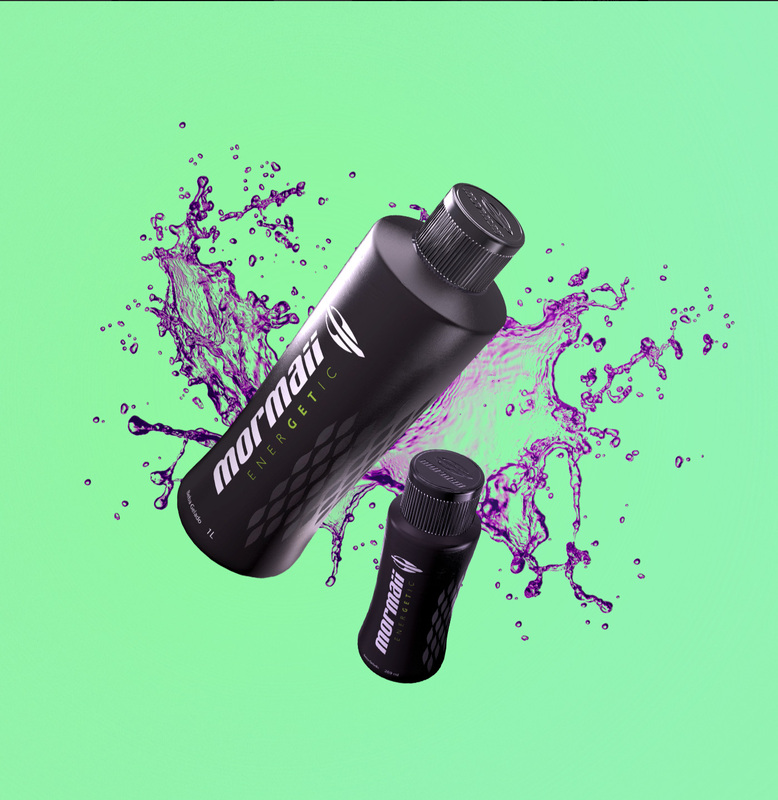 When developing design solutions for Mormaii´s energy drink we were looking for ways that would hightlight the product in a competitive and dynamic market. 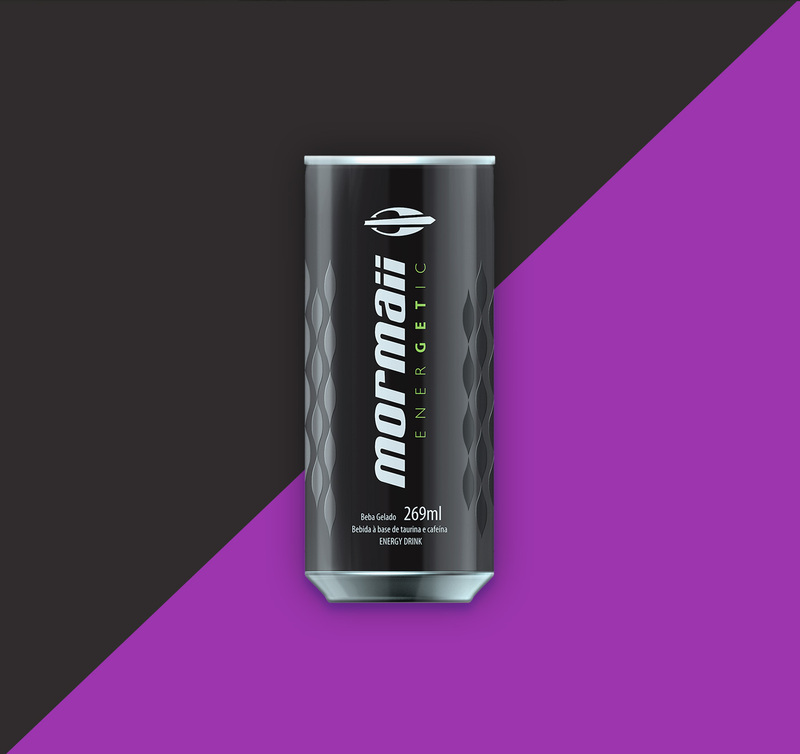 We created bottle structural and graphic design, cans and labels for Mormaii´s energy drink. The bottle was designed to simulate the aesthetic of neoprene garments, one of the main products of the brand. The whole beverage line uses “scales” as visual identity elements. Scale patterns were printed in shiny varnish over the matt black label. The idea was to reinforce the link between the brand and nautical sports. The logotypes were printed with white ink that glows in the dark. We worked intensely from research stage to the conclusion of the process to achieve this result. Attractive and functional packages that provide good consumer experience. Award winning of 2012´s Embanews Packaging Design Award. 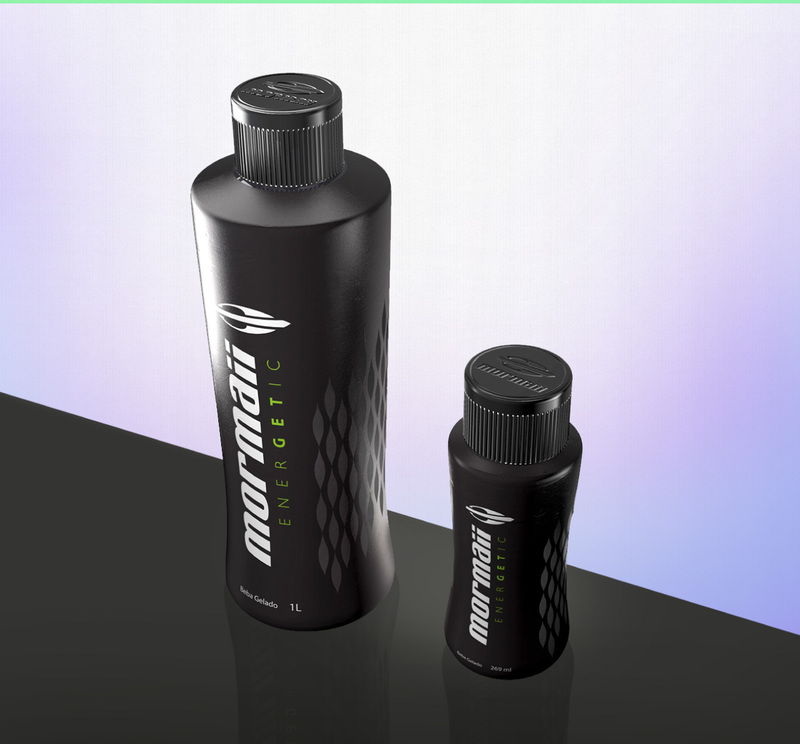 Check packaging design developed for Mormaii´s mineral water and isotonic drinks .